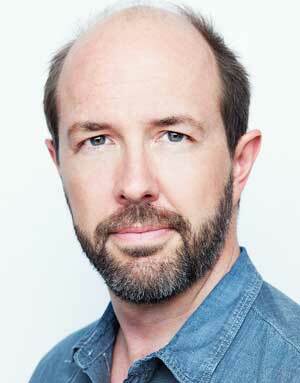 The College of Creative Arts welcomes actor Eric Lange as the featured speaker at the College of Creative Arts recognition ceremony on Sunday, May 17 at 10 am at the Goggin Ice Center. Eric Lange received his B.F.A from Miami University (’95) and has gone on to many large roles in theater, television and film. Most recently, Lange originated the role of “Elliot" in the world premiere of Donald Margulies’s The Country House, opposite Blythe Danner. The play premiered at the Geffen Playhouse and then moved to Broadway at the Manhattan Theatre Club, marking Eric’s Broadway debut. On television, Eric starred on the first season of FX’s hit drama, The Bridge. He has appeared in over 100 episodes of television, including CSI, Castle, Fringe, Once Upon a Time, Bones, Entourage, Modern Family, Criminal Minds, and NCIS. But, Eric is perhaps best known for his recurring arcs on Lost, Weeds and Victorious. In film, Lange most recently appeared in Danny Collins and Night Crawler. Lange is honored to be back at his alma mater once again, to be a part of these ceremonies and to share in the already rich history of Miami University.